No flowers are blooming now. Even the dandelions are dormant. As I go through my pictures from this year, I wonder which will be the first flowers to bloom in the new year. Several flowers come to mind. 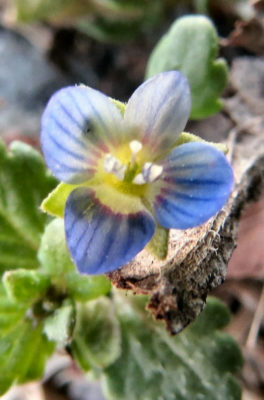 Little corn speedwell with its sky blue flowers has bloomed during warm spells in January before. Corn speedwell came from Europe, but is wide spread in areas of short grass. These little flowers look like bits of summer sky scattered on the ground during warm spells over the winter. 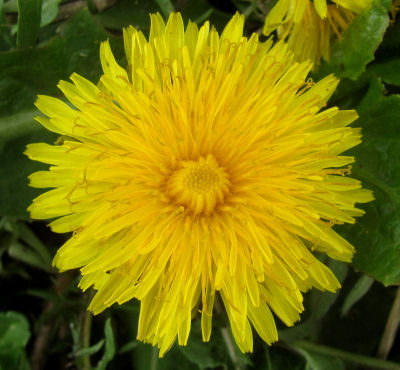 Dandelions always seem poised to open their yellow flowers as soon as warm weather arrives. Their dark green rosettes dot the yard ready and waiting. Planted world wide, daffodils are a symbol of spring yet bloom, not as soon as spring hints appear in winter, but after spring is moving in. 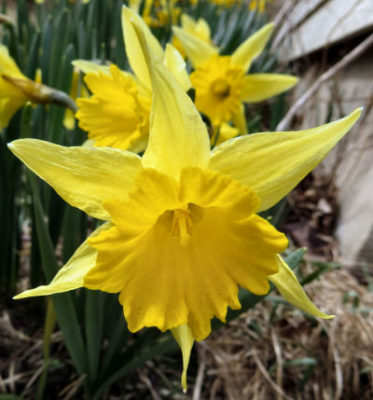 Daffodils are thought of as early spring flowers. As far as I’ve seen, their leaves come up early. The flowers don’t show until spring is battling its way through the dregs of winter. This wild green tries to stay green all winter. It doesn’t take much of a warm spell to encourage Shepard’s Purse to put up a flower stalk. The young leaves make a good addition to salads or stir fries. Shepard’s purse is a surprise contender. It has rosettes here and there around the yard, mostly in the driveway or near the road. It was blooming late into November until the hard frosts were too frequent. Another wild green, dandelions put up their flower heads even in late winter, if it gets warm enough. The plants stay green all winter and make good additions to salads and stir fries. If I wander down along the river, harbinger of spring blooms early. 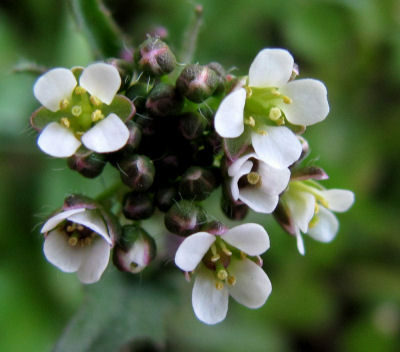 It grows tucked beside trees that warm and protect the roots through the winter. There are many spring ephemerals. I doubt these are contenders for the year’s first flowers. They tend to wait until spring is trouncing winter before appearing. 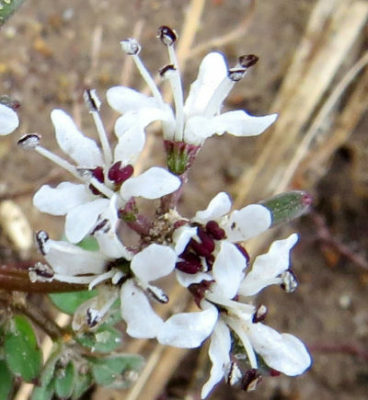 Harbinger of Spring or Salt and Pepper is one of very few native plants to bloom early, before spring settles in. Some things must be true for such early bloomers. They must be tough to withstand hard frosts and stand back up in the morning. They must shiver through cold days that bracket the few early spring days and endure. Most of the flower pictures I am working with are from flowers blooming in the warmth of late spring and all of summer. They are often bigger and showier than those first flowers of the year. Their beauty will be welcome and enjoyed. The one thing lacking for these later blooms is the sheer joy those first flowers bring. Winter is ending is what these flowers herald. That makes them special, no matter which ones they are. Find out more about the Ozark seasons in Exploring the Ozark Hills. This entry was posted in Ozark Hills and tagged corn speedwell, daffodils, dandelions, Ozark wildflowers, salt and pepper flowers on December 12, 2018 by [email protected].